Though Jason Frye calls the coast of North Carolina home, his heart is with the mountains. Born and raised in the rugged Appalachian foothills in southern West Virginia, he developed an affinity for hiking and exploring the woods, coves, and hollows of the hills. His family vacationed in the Great Smoky Mountains National Park. His love for this landscape deepens with each visit. Jason and his wife Lauren spend as much time as possible exploring the outdoors: wandering the woods and wilds, kayaking the marshes and waterways, and even hang gliding. 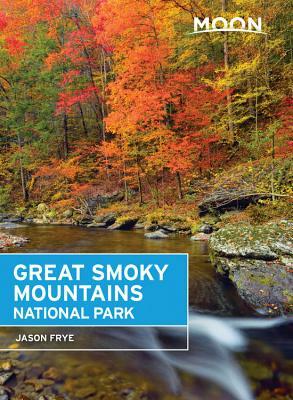 Jason is the author of several Moon guidebooks, including Moon North Carolina and Moon Blue Ridge Parkway Road Trip. He also contributes to Salt magazine, AAA Go!, Our State and Our State Eats food blog, the Wilmington StarNews-where he is a features contributor and dining critic-the Raleigh News and Observer, the Charlotte Observer, the blog of Virgin Atlantic Airlines, and a number of other print and online publications.